Dwele, this time around, is really trying to get his creative brainstorming on. In his search for fresh concept in the world of laidback R&B, he stumbles on yet another WWW alteration on his fourth album. In this case, it doesn’t mean World Wide Web. Divided up into three “W” sections (Wants, World, Women), WWW finds Dwele’s exploring some of the mysteries that surround some of his unfortunates, temptations and wildest pleasures. He becomes transparent about his struggles as a bottom-tier R&B act on “I Wish” using the Lyfe Jennings’ “Must Be Nice” method (“I wish I made music that appeals to the masses/Instead of writing lyrics that require poetic classes;“I wish I had a dollar for every dollar you think I have”). With guest Raheem DeVaughn delivering his Marvin Gaye swoons on the chorus and verses, Dwele hobbles into the background as Rapper M.D. 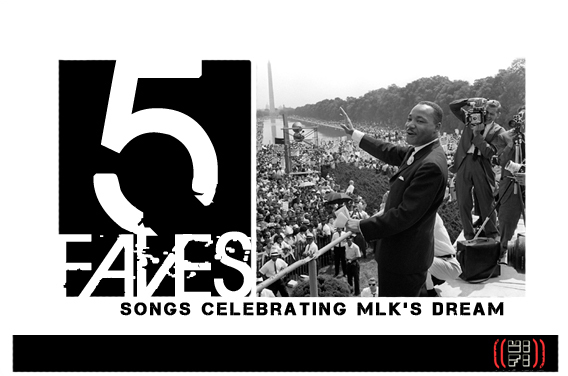 on “Dim the Lights.” The first half and middle portions of the album hangs on the coolness of hip-hop (“Grown,” “Dodgin the Phone”) and the self-consciousness of empowering soul music (“Detroit Sunrise,” “My People”). The last half brings him back to his seductive romantic roots (“What’s Not to Love,” “Love You Right”); never going over the top, just playing the role of the respectful gentleman. This is where he shines the brightest. “I Understand” lays on the dreamy slow jam using similar Dexter Wansal’s Rhodes action, while “I Wanna” (sounds like it could be a “Want” selection) is a clever retro trip back to the house party warm-upper with its cool ‘80’s funk. As a concept, the W.W.W. idea is a bit outdated no matter how you twist it. Just like all those endless Y2K incarnations. Some of the material could have been escorted into other categories, especially with the sexual lust of “Dim the Lights.” It’s apparent that the aforementioned love ballad could have been inched into the ‘Women’ section. In the world of subject matter, “How I Deal” sounds like a reprise or a response to “I Wish” as he agonizes over his economic hardships (“See I had a plan to make a million/Get a place out the hood and make some children;” “I was living the dream but now I’m pacing/You see things fell apart now I’m losing my patience/Lord, how do I deal”). After a while, you start to realize that the organizational dividers are simply voided during the process of interpretation. With a big concept now becoming lost in translation, the WWW event actually stumbles in its expectations. 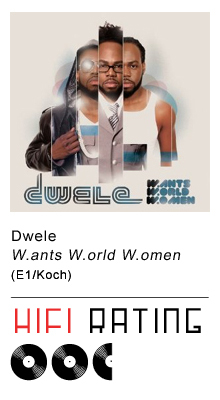 In the end, rather than dissecting the three W’s individually, Dwele wants the wants and he wants the world and women all at one time. Confusing, ain’t it. During the process of culling together this album, it’s possible that Dwele gained his inspiration from the latest bulk of big-concept R&B/soul albums from Raheem DeVaughn (The Love & War MasterPeace) and Maxwell (BLACKsummers’night). But the concept here gets a bit jaded in its final outcome and is actually easier to calculate than originally anticipated. The album is also a bit barren of big hits. For cozy lounge music, Dwele creates a satisfying record. But in the marketplace, W.ants W.orld W.omen gets lost in the translation. Once again, Dwele is pushed back into being an underground underappreciated sensation still awaiting that much-needed breakthrough.